business and marketing information available anywhere today? If you're sick and tired of watching hour-long training videos featuring supposed "experts" in business and marketing that leave you feeling like you just wasted your hour, then you've definitely come to the right place. All of our instructional presentations are jammed-packed from start to finish with the business growth information you need to build the business you want. We DO NOT spend the first 20 minutes telling you how great we are or trying to sell you products and services for 80% of the presentation. Our presentations are meat and potatoes only. NO HYPE! NO SELLING! NO KIDDING! 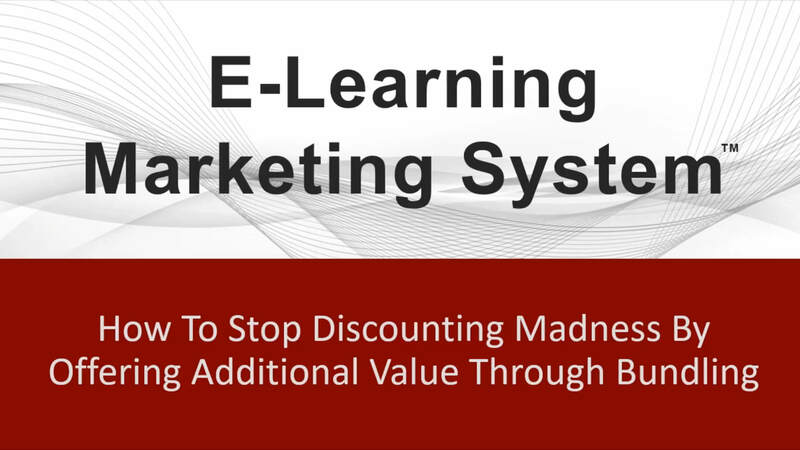 Watch the video above and find out why many of today's top marketing professionals are calling the E-Learning Marketing System "the single, most powerful client attraction and revenue-generating program" ever created.